eCommerce lesson: Concentrate on key products while you build your brand. 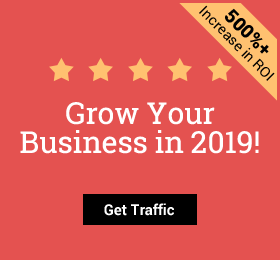 Once you have consistently growing sales, customers and mailing lists, add products strategically to increase your brand reach and revenue through strategic remarketing tactics. 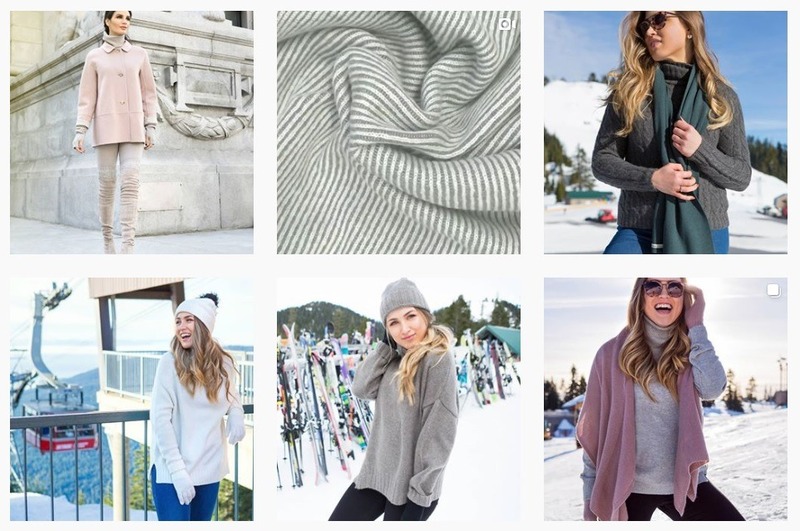 You can read more about how this online legging store reached $5,000,000 in its first year and the secrets behind their marketing from this recent eCommerce success story interview we did with one of their founders, Luuk. Fitness apparel and accessory brand Gymshark was launched by 19-year-old Ben Francis in a garage in 2012. 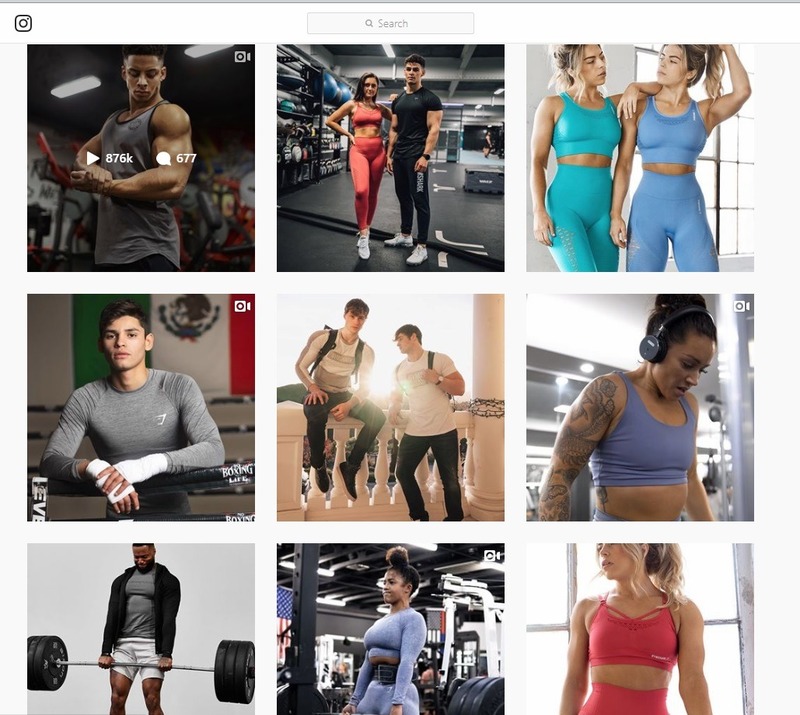 Since then, they have grown into a mega online clothing store brand that is worth $128 million, has expanded to atleisure and is said to be one of the fastest growing global fitness brands. But it is not just their clean-cut store site, fitness-inspiring models, good product photography, clever color filter searching and product pages that have impressed us. With over 3 million Instagram followers, a million Facebook likes and 200k YouTube followers, their social game is on point. eCommerce lesson: To build a formidable social following of engaged customers and potential shoppers, it’s important to remember the key fundamentals of social media success: being social. To do this, you want to share high-value content – not just high-sale marketing – that is in tune with your target audience. HELM Boots is a high-end shoe brand aimed at men that proves that you can focus on quality instead of affordability and still win big – teaching us that you just need to find your market. Started in Austin, Texas, HELM is on a mission to perfect the modern boot, striving for versatility, timelessness and functionality. Attracting musicians and big names such as Ben Affleck, their mission for quality is paying off. eCommerce lesson: Don’t substitute product quality for cost. Good quality products build trust, up return rates, increase your change for organic word-of-mouth marketing, and reduce returns – all helping you to develop a high-converting business with longevity. Want some extra inspiration? Here’s a day in the life of this remarkable eCommerce entrepreneur. 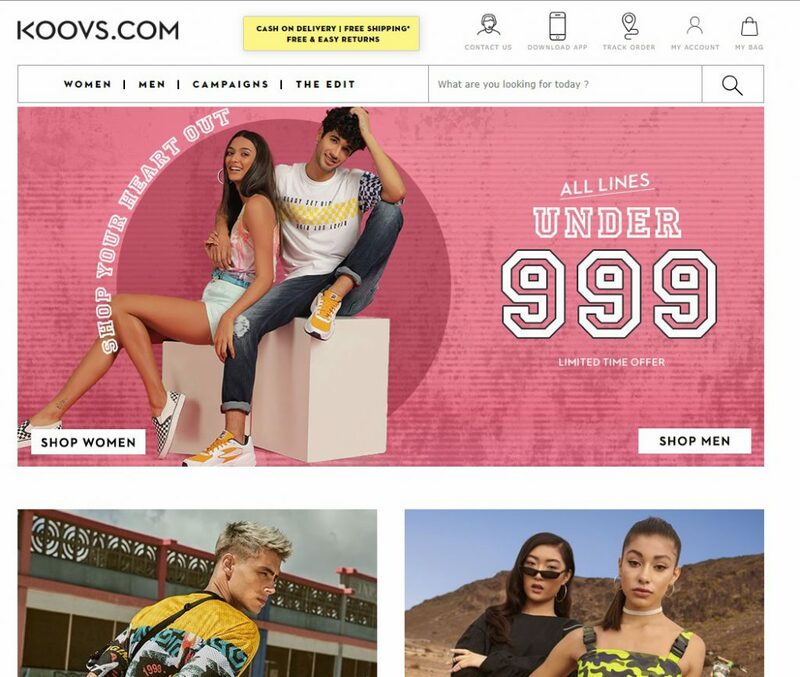 Koovs is a vibrant online clothing and accessory store based in India that markets itself as an online fashion portal. Selling a variety of top brands such as New Look, Nike and Levis, their eCommerce store is well-designed and user-friendly. But what really makes Koovs stand out is their unique COD (cash on delivery) policy. This policy enables shoppers to only pay for orders when the package is at their door, helping to push conversions by offering extra trust. Add that to their shopping apps and you’ve got gold! eCommerce lesson: To stand out in such a competitive niche, you want to put your own spin on certain aspects of your business. Whether it is developing a unique policy to build trust like Koovs has done or some never-before-used video angle in your marketing, you want to be able to stand out to your specific target audience in your specific niche. 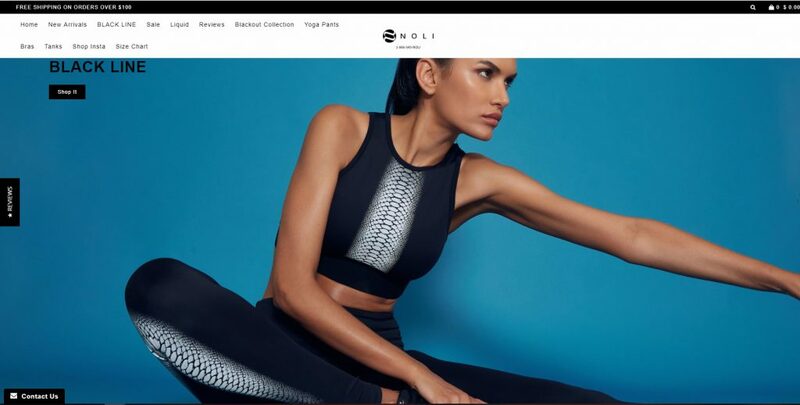 Yoga apparel is a billion-dollar niche and one brand that is cashing in on the trend in a big way is Noli. Here is the estimated yoga revenue for 2020 to give you an idea of just how big this market is. 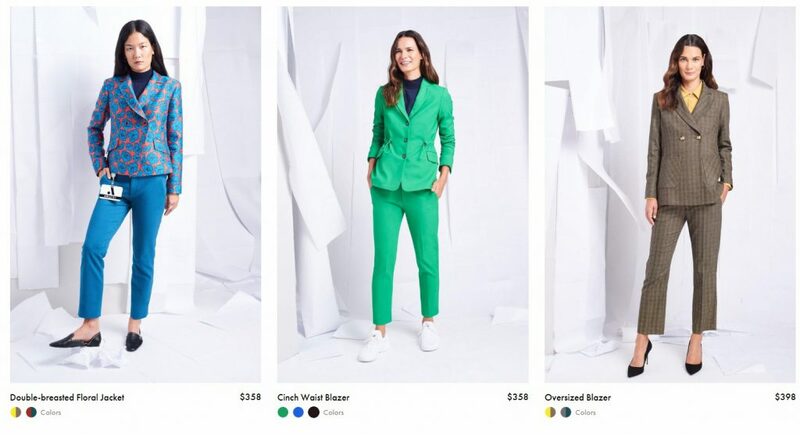 This brand has turned into a $3.5-million-a-year business in just three years. With bold, high-quality designs and a sound onboarding strategy, they have not only grown their customer base but enjoy a 31% repeat buyer average. You can read more about how they did this in their full eCommerce success story interview, here. eCommerce lesson: We know that remarketing to existing customers is much cheaper than reaching new shoppers; which is why the ROI on email marketing is huge. It is also an important component of increasing your repeat business rates. For inspiration on winning email campaigns, check out our eCommerce email campaigns post. Missguided was launched in 2009 by New York fashion industry enthusiast Nitin Passi and is now a global multi-platform brand with sites in the US, Europe and the UK. Their products and messaging are concise, and with one quick look at their homepage, you can see who they are targeting. But it is their copy that stands out. Every piece of content – from their category descriptions to their ‘about’ sections – is written exclusively for their ideal shopper. eCommerce lesson: Your copy matters. Copywriting and content planning is something many new business owners try to skimp on. But if your text doesn’t speak your target market’s language they’re going to lose interest very quickly, no matter how “dope” your products are. If there was ever a rags-to-riches eCommerce story, MVMT watches is it. Launched in 2013 with crowdfunding, they set out to disrupt the overpriced watch market – and disrupt it they did, growing to million-dollar business with huge global reach. Expanding to eyeglasses and jewelry, MVMT was bought for a record $100 million in August of last year. eCommerce lesson: Don’t let finances stop you from developing a winning product. 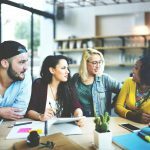 There is a variety of ways you can creatively raise funds for your next product hit. 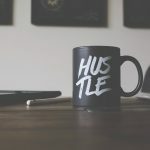 This includes contacting venture capitalists, applying for business grants or reaching out to crowdfunding sites such as Kickstarter and Indiegogo like MVMT founders did. The latter will also allow you to test a product’s trend appeal. Here are some other entrepreneurs who used Indiegogo to launch their ideas. Onekid’s revolutionary product, Road Coat®, was born in 2016 after the founders saw a news story about the dangers of dressing kids in big winter coats when in car seats. Their product had huge viral appeal. A simple launch video created the perfect conditions to boost their new online kids’ clothing brand. Their secret to not only creating a niche but dominating it lies in the methodical way they took the time to develop the Road Coat®, apply for the design and utility patent, do all the necessary crash tests, and get their product CPST (Child Passenger Safety Technician) approved. 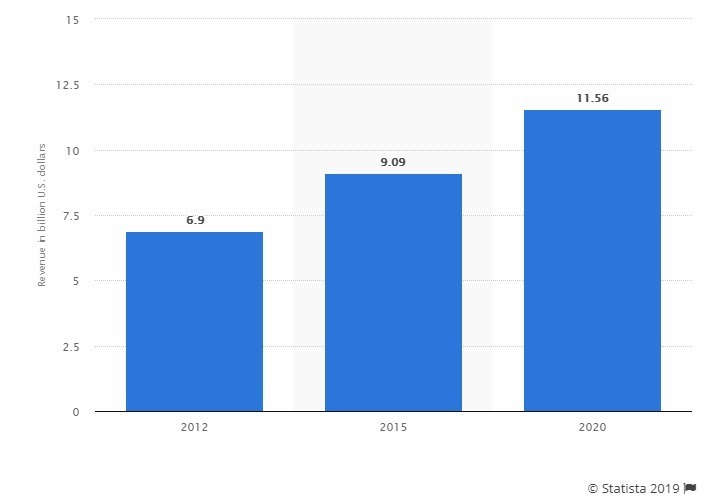 eCommerce lesson: The number of active online stores worldwide is in the millions, and eCommerce is growing at a surprising rate. Despite the growing competition, don’t be tempted to jump on the modern trend of getting your products online ASAP. Instead, you want to take the time to thoroughly develop your product before jumping in, and start with a few select products. Then, as you grow, you can develop new products to add to your list. Another eCommerce example of a well-researched, designed and developed product is Thinx, who are now worth $39+ million in annual revenue. Pura Vida is one of my favorite websites in terms of aesthetics. Their website and product displays are eye candy to an eCommerce junkie like me and navigating their site is a breeze. Each bracelet on Pure Vida’s site is handcrafted by artists around the world, offering shoppers unique and innovative designs and styles. Plus, with their Charity Collection initiative, they have raised $1,737,190 for over 174 global charities. But their pièce de résistance lies in their influencer program, which has amassed +110k micro-influencers, increasing their referral sales by 300%. eCommerce lesson: Harnessing the power of brand ambassadors on a larger scale could take your word-of-mouth marketing to a whole new level. 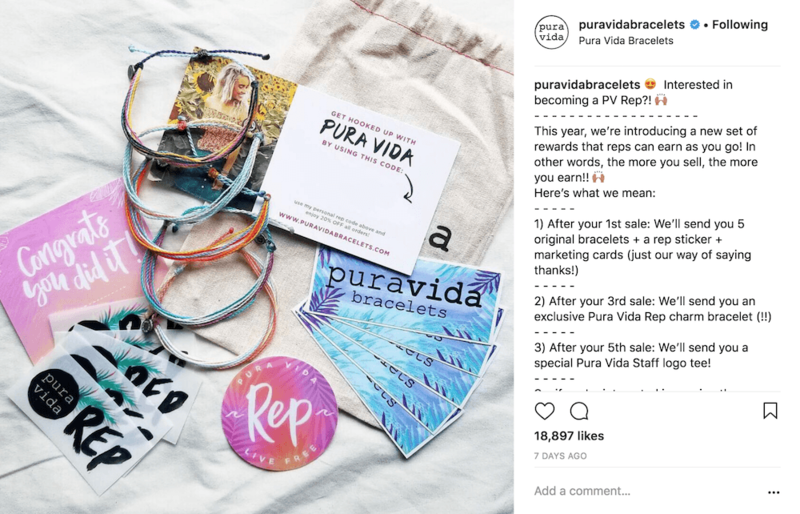 Coming up with a unique referral, reward or influencer program (that include micro-influences) could help you reach niche segments all across Instagram. 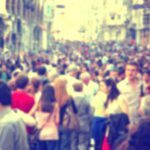 Looking for influencers for your eCommerce brand? Check out our full influencer search guide. We are crushing on online temporary tattoo store Tattly, hard! 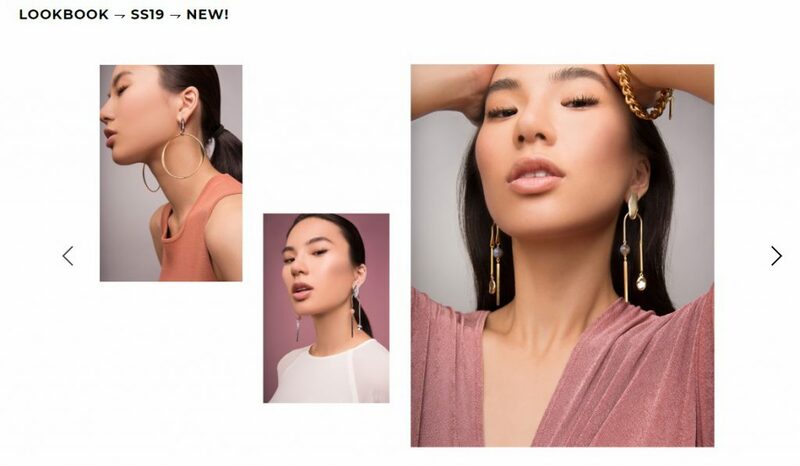 This fun online accessory store knows their audience – speaking directly to them, and makes sure their shoppers get the most out of their products with their how-to guides. Let’s not forget that this once sideline business is now worth millions in revenue. Capturing the attention of mainstream media and is expanding to a variety of products including printed accessories and enamel pins. 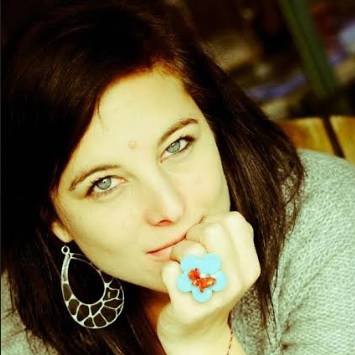 And how did founder Tina Roth Eisenberg find her winning idea? By designing a product to address her and her target audience’s frustrations. 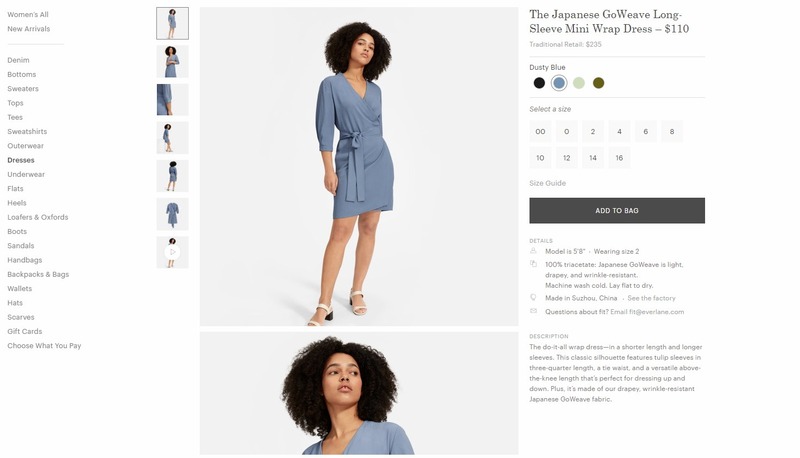 eCommerce lesson: For eCommerce success, you want to make sure that your marketing reflects how your product solves or cures a problem or fits into your audience’s passions. Additionally, creating free how-to guides will not only highlight what pain point your products are solving but boost SEO (blog) or social views (video). 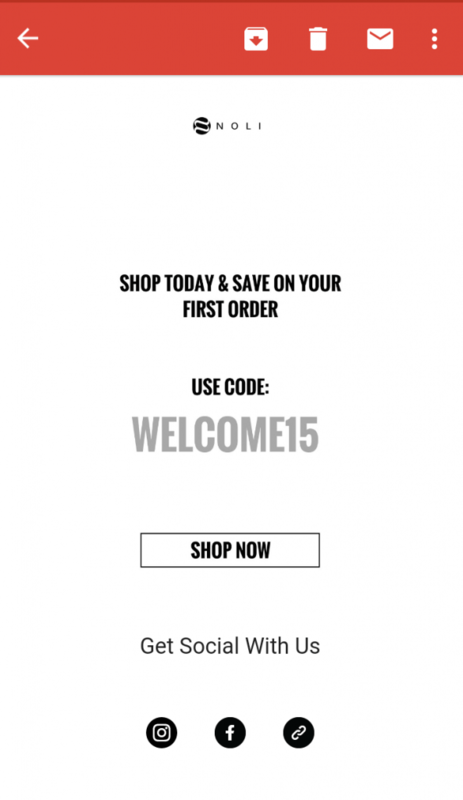 There you have it: 16 winning online clothing and accessory store examples. 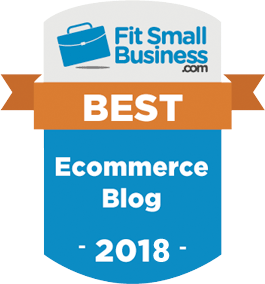 Plus the biggest eCommerce lessons you can learn from them to grow our eCommerce business. If you are a new eCommerce entrepreneur, don’t forget to check out our 2019 step-by-step guide to starting your own clothing online store. 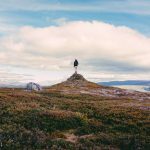 This entry was posted in Best Practice, eCommerce Tools and tagged eCommerce, eCommerce marketing, eCommerce motivation, eCommerce PPC, eCommerce products, Instagram marketing, online store traffic, product ideas, trending products. Bookmark the permalink.